U.S. President Barack Obama has picked two openly gay athletes to be part of the U.S. delegation at the Sochi Games, a move widely seen as a rebuke of Russia's anti-gay laws, and he'll be skipping the event. U.S. President Barack Obama has picked two gay athletes to be part of the U.S. delegation to the Sochi Olympics and won’t be attending the event himself, moves interpreted as a snub to Russia and President Vladimir Putin. The White House announced the presidential delegation on Tuesday, and its members are raising eyebrows because of who it includes, and who it doesn’t. Janet Napolitano, former secretary of Homeland Security, was named head of the delegation for the opening ceremony at the Games in February. She is currently president of the University of California. Tennis legend Billie Jean King, one of the first prominent U.S. athletes to be open about her sexuality, and hockey player Caitlin Cahow will attend the opening and closing ceremonies. 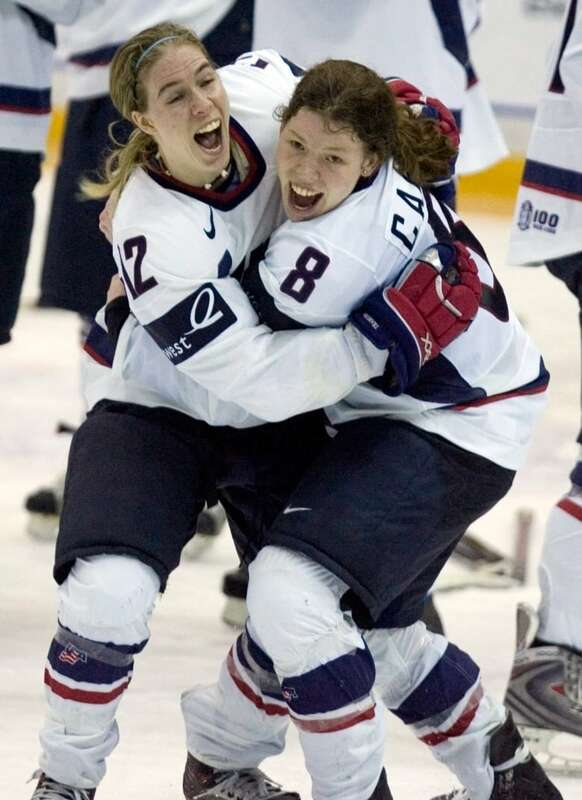 Cahow, retired from competitive hockey, competed twice in the Olympics for the U.S. But she also has a Canadian connection — she played in the Canadian Women's Hockey League for its Boston Blades team and now sits on the CWHL's board of directors. It offered its congratulations to Cahow after she was named to the delegation. Cahow told the newspaper that it’s a remarkable roster and she can’t believe she’s part of it. Hopefully, it will unify all of Team USA and send a message of love and acceptance to the world," she said. King, who went public about her sexuality after she was sued by a female partner, also said she was honoured to be named to the delegation. "Honored to represent USA in Sochi and I hope these Olympics will be a watershed moment for the universal acceptance of all people," she wrote on Twitter. One of King's many athletic accomplishments was beating Bobbie Riggs in a match labelled the "Battle of the Sexes" in 1973. While Napolitano is a recognizable name, previous delegations have been led by higher-level officials and prominent figures. Michelle Obama led the delegation to the 2012 London Games and Vice-President Joe Biden was head of it for the 2010 Games in Vancouver. Michael McFaul, U.S. ambassador to Russia. Robert Nabors, an assistant and policy adviser to Obama. William Burns, deputy secretary of state. Former Olympians Brian Boitano, Bonnie Blair and Eric Heiden. Burns will lead the delegation for the closing ceremony. Delegation shows diversity of U.S.
White House spokesman Jay Carney was asked Wednesday what kind of message, if any, Obama is trying to send to Putin. "In the selection of this delegation, we are sending the message that the United States is a diverse place and this delegation represents that diversity not because of the issues on which we disagree with Russia alone, but because of the remarkable accomplishments of every individual in that delegation," he said at the daily press briefing. When asked if the Russian law passed in June that targets the gay, lesbian and transgender communities was kept in mind during the delegation selection process, Carney said the Obama administration has "made no bones" about the fact it opposes and is offended by the legislation. He also said Obama's schedule doesn't allow for him to make the trip. Advocacy groups such as Athlete Ally and All Out cheered the decision to include two gay athletes in the group, and said it sends a message. “It‘s hard to look at this delegation without seeing it as a criticism of Putin’s anti-gay laws," Andre Banks, executive director of All Out, said in a statement. "What it’s doing is showing the true power of the Olympics, the ability to move people, to change people’s minds and open them up to new ways of thinking. The delegation is shining a light on the values of the Olympics." Athlete Ally has a petition urging the International Olympic Committee to do more in response to Russia’s controversial law passed in June that bans the “propaganda of non-traditional sexual relations” to minors. All Out similarly has been pushing the IOC to conduct an investigation into the law. Together, the two groups are running a campaign called Principle 6, urging the IOC to uphold the principles of the Olympic charter. "Caitlin Cahow is a tireless advocate of the lesbian, gay, bisexual and transgender (LGBT) community and we are so grateful for her enthusiasm around Principle 6," Hudson Taylor, executive director of Athlete Ally, said in a joint statement with All Out. 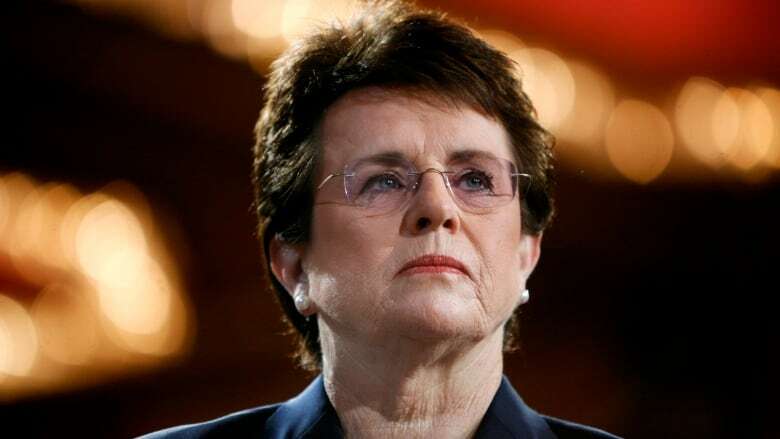 "Along with the great American icon, Billie Jean King, Caitlin will represent our country incredibly well and use this platform to show the world that the Olympics must bring out the best in each of us." The IOC previously said Moscow assured that athletes and spectators will not face discrimination at the Feb. 7 to 23 Winter Games. Canada has not yet named its official delegation to the Sochi Olympics. It is expected to do so once all athletes have qualified some time in January. Prime Minister Stephen Harper's office said Wednesday, however, that Harper would not be heading to Russia for the Olympics. "I can confirm that the prime minister will not be attending the Games. There will be an announcement in the coming weeks regarding who will represent or attend on behalf of the government of Canada," Harper's director of communications Jason MacDonald told CBC News. MacDonald added that it is common practice for the minister of sport and the Governor General to represent Canada at the Games, not the prime minister. This week, Vancouver said it plans to send Coun.Tim Stevenson, who is gay, to represent the city in Sochi. The decision to send Stevenson rather than Vancouver Mayor Gregor Robertson came after much debate. Stevenson told CBC that Vancouver wanted to take a strong stand being the previous host city. The Canadian Olympic Committee was asked for a statement Wednesday in response to the Vancouver city council's decision to send Stevenson to Sochi. He will lobby the IOC to direct future host cities to create Pride Houses as part of their bid and push for the protection of LGBT athletes while in Russia. "Our aim is to showcase athletes in ways highlighting Canada’s values and pride. We believe in the power of sport uniting individuals of all races, genders and sexual orientation," the statement read.